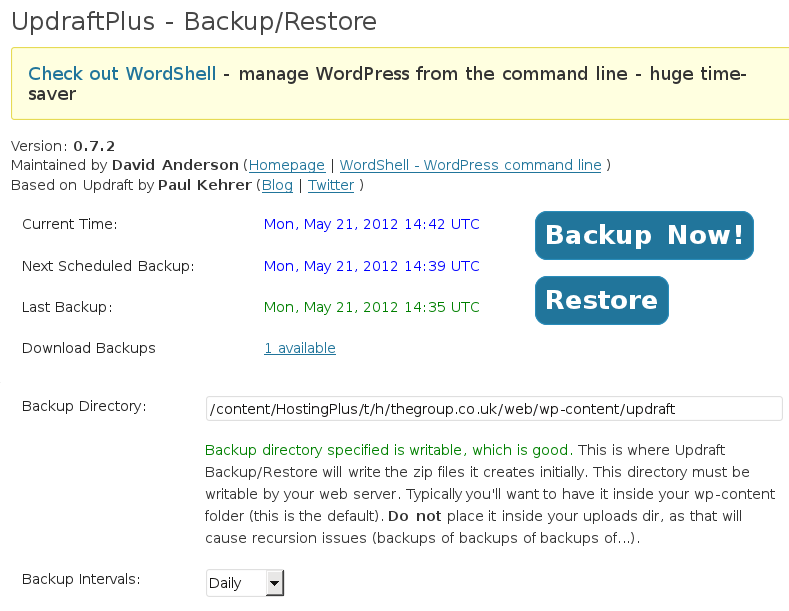 August 4th in Backup Plugins by Wordpress Jedi . 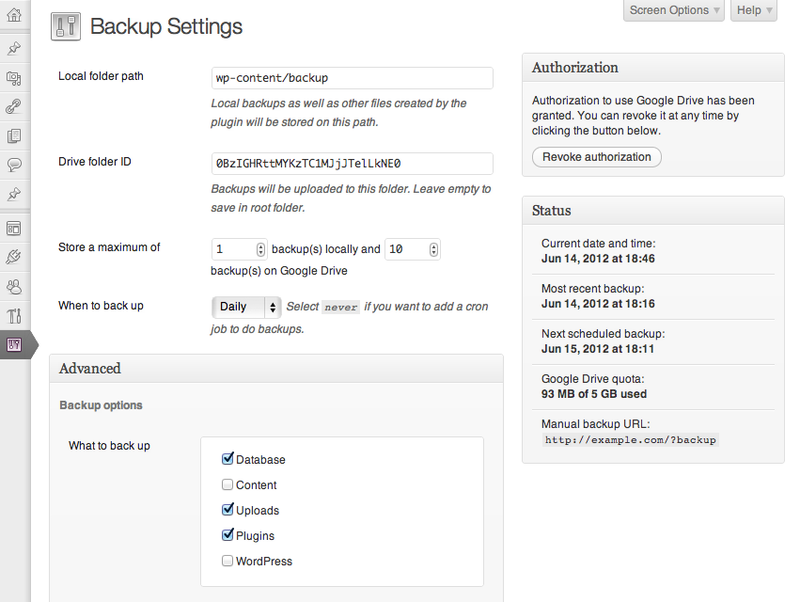 Google Drive for WordPress: a simple plugin you can take advantage of to backup WordPress to Google Drive. Daily backups of your database are supported too. 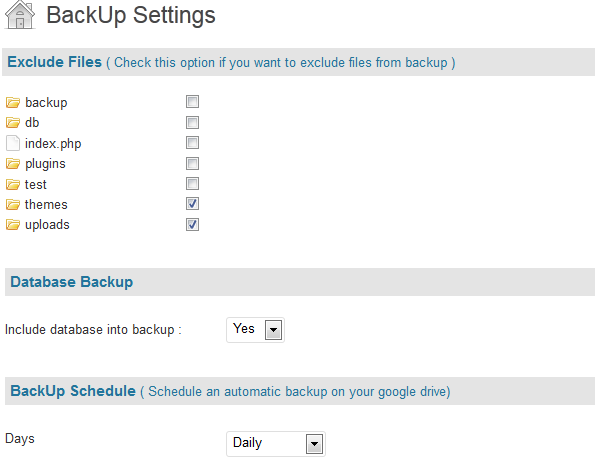 Backup for WordPress: this plugin has a super easy interface and is easy to get to work. It supports local backups too. You can always revoke this tool’s authorization when you are done with it. UpdraftPlus: lets you upload your themes, plugins, and DB files to Amazon S3 and Google Drive. Backups of files and your database can be on separate schedules too. You could always send your files to Google Drive manually. The above plugins save you a lot of time getting the job done though.